Since "Heartstrings" was last aired in the summer of 2011, it has been fans' hope that there will be a fan meeting with Park Shin Hye and Jung Yong Hwa. Well fans won't have to wait any longer. To promote their drama in Japan, which airs in July on Fuji TV, Shin Hye and Yong Hwa will come together once again to hold two very special fan meetings with their fans. 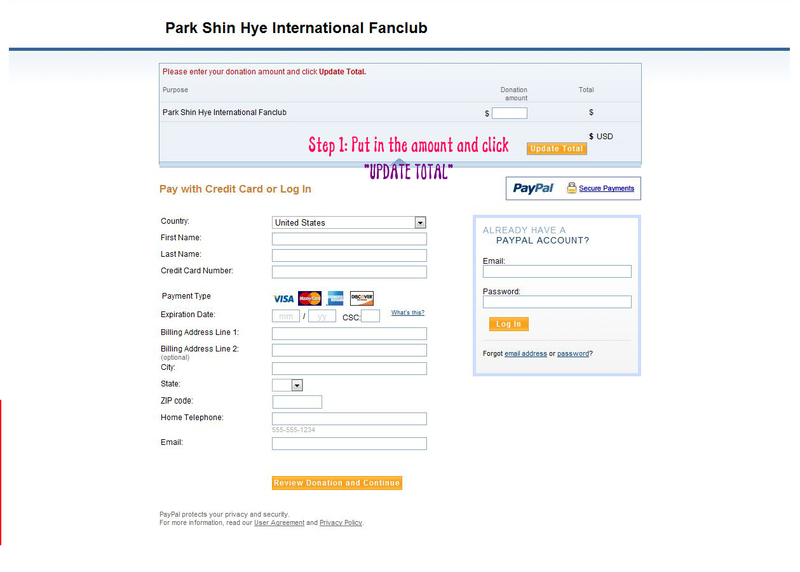 Because of this very special event, we at PSHIFC are holding a donation drive and a fan project in support of Shin Hye. It's really quite simple. We will be giving away prizes to all who donate and collecting photo messages from fans. 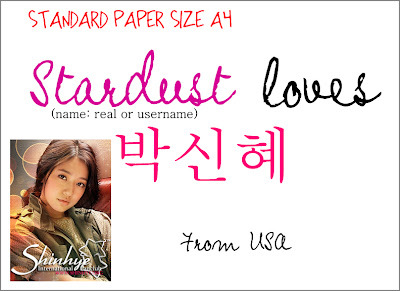 For the donation drive, the grand prize is an autograph from PARK SHIN HYE! Fans are encouraged to donate any amount they wished. To donate, just click on any of the DONATE buttons located on this post or on the upper left hand corner of the site. Here's what you get from your donation to this project. 60USD+: PSHIFC pin and magnet, and your name is put in a drawing for a chance to win the 40USD+ prizes as well as in this drawing for a Lee Kyu Won memo pad, cardholder, calendar planner, handphone cleaner, Dr. G products, and AUTOGRAPH of Shin Hye. There will be an additional drawing for which any five people who donated (no matter the amount) will get a chance to win a handphone cleaner and sticker sheet. 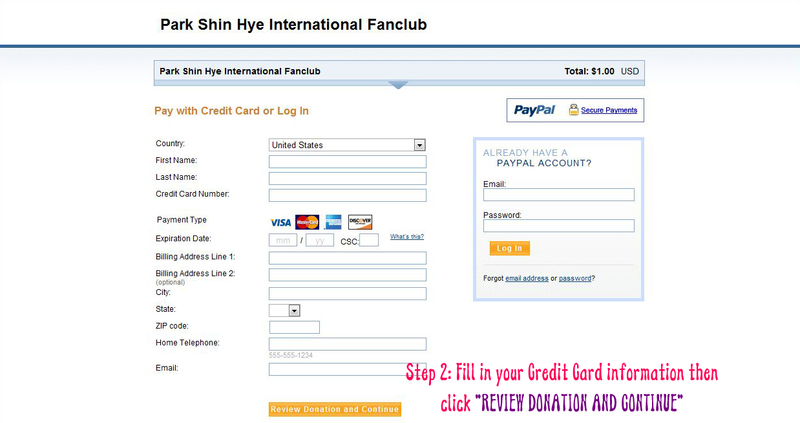 Shin Hye fans are encouraged to participate in our fan project. PSHIFC will be collecting photos of fans from all over the world and complying them into an album to be given to Shin Hye at the fan meeting. 1. Print or write on a blank sheet of paper that you love Shin Hye along with your country (photo below). You can decorate your message sheet in any way you like. We do have one other option, of donating via bank transfer (in the Philippines and Japan). If you prefer this option, please send us an email and we will give you further information.